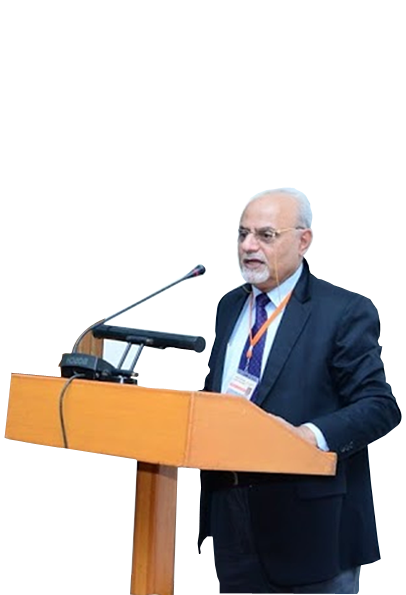 BLOGS & ARTICLES - EVENTS 2009-2019 - FORTHCOMING EVENTS 2019 - IECS: MOMENTS TO CHERISH - IECS: 03 - DAY ALL INDIA SCHOOL LEADERSHIP WORKSHOPS IN 2019, AT INDIA INTERNATIONAL CENTRE, NEW DELHI: IECS JUNE SLW: 21-23 JUNE 2019 - IECS SEPT. SLW: 20-22 SEPT. 2019 : IECS DECEMBER SLW: 20-22 DEC. 2019. We aspire for Quality, Holistic Education in Educational Institutions through involvement of all the beneficiaries, the stakeholders and the interested parties.We aim to create Quality Schools were educators are professionally committed, innovative and capable of leading our students to face the challenges of modern society with a firm conviction in peace, non-violence, global interdependence and an urge to excel in every field. This session will give an insight into how the brain impacts Human Learning. Training andmentoring of School staff is a professional work of dedicated educators. It is an investment into future. 19 04 17 Capacity Building Programme at Miles Bronson Residential School, Guwahati, Assam. 19 04 06 Teacher Training Workshop at Sheoron International School, Greater Noida. 19 04 02 Capacity Building Training Workshop for Teachers at CLG World School, Moradabad. 19 04 01 Photos of CBP at CL Gupta World School, Moradabad. 19 02 28 Photos of Workshop with Principals & Managers of St. Alousius Group of Schools, Jabalpur on Quality Academic Audit of Schools. 19 03 09 Photos of Capacity Building Programme of Teachers of DPS-Srinagar. 19 03 08 Photos of Capacity Building Programme of Teachers of DPS Srinagar. SIP is a package for qualitative up-gradation of a School. Specific programmes to formulate and achieve the Mission Statement increase Admission in take and Parent Satisfaction Index, leading to improved visibility of the School are its essential features. Before we begin a project, it is very important to ascertain the viability and potentiality of that project in the area where it will be operative. Indira Educational Consultancy Services caters exclusively to the field of Education and skill development. We have the experts who will help you set the Mathematics, English Language, Science and the Computer Science Labs. Indira Educational Consultancy Services caters exclusively to the field of Education. We believe that Education is an industry where right kind of planning, investment and management is as essential as in any other industry-so as to achieve optimum levels of efficiency. Our areas of expertise are School Education, Training and Mentoring of Teachers and School Leaders, Quality Management of Schools, Academic & Quality Audits, Accreditation, Improving Performance of students and Teachers. We offer a wide spectrum of services related to conceptualizing, infrastructure and human resource development. We guide newly established Schools in obtaining recognition, NOC and in seeking affiliation with CBSE, the Council of Indian School Education, Cambridge International Examinations, and GSCE IB. Our management is backed by expert educationists, school administrators, curriculum planners and developers, teacher-trainers, subject experts and management consultants. We ensure complete client satisfaction while rendering our services. Our endeavor is and always will be to recruit highly qualified professionals for our existing and future clients. We maintain a premium and very strong database of candidates. Our rigorous screening and training processes ensure that you can rely on us to handle your requirements in the shortest possible span of time. Our prime objective when it comes to the training solutions is to rekindle our participants' passion for both teaching as well as learning. Make their brain revolt against their dead, obsolete knowledge and instigate them to question, discuss and debate on various pedagogical issues. Our team of educators and facilitators is all set to make the paradigm shift of our education system coming alive to the idea of progressive and engaging schools turn to reality. Through innovative training programs and need based participant counselling, we assist institutions in moving their human potential to newer frontiers and thereby help in bringing to life schools that serve to be a rewarding experience for our children: lively, enjoyable, challenging yet humane. It is an attempt to revitalize our schools to most learning ones. For us "School Solution" is not a mere set of alphabets it is an ideology towards perfection. We aspire for Quality Holistic Education in Educational Institutions through involvement of all the stakeholders and the interested parties. We aim to create Quality Schools were educators are professionally committed, innovative and capable of leading our students to face the challenges of modern society with a firm conviction in peace, humanism and non-violence. We have the pleasure to introduce to you our Management and Consultancy Services in the field of Education. We cater exclusively to Schools and Colleges of Education. We adopt a Modular Approach in Training of Teachers and Leadership Teams of Schools and conduct Quality, Result oriented Training Workshops as per needs of Schools. We specialize in selecting and inducting manpower for educational institutions, which includes requirement of Principals, Directors, Heads, Lecturers, teachers for different Subjects and for different levels as also non-teaching Staff. We have the experience of having recruited Teachers & Principals for Schools of repute in India & Abroad. The Selection Procedure followed by us aims at selecting the personnel best suited to the present day needs and requirements. The selection procedures are stringent and the aspiring candidates have to go through a tough screening process. This involves thorough examination of proficiency in their chosen field of study and the ability to communicate ideas and concepts to the learners. We ensure that only those candidates are finally selected who have the ability to efficiently cope with the myriad demands of the learners and the institutions. We specialize in developing professional attitude and teaching competencies of In-service Teachers and in Improving upon Admissions, visibility, image and financial resources of the School. We provide our services to Schools for seeking Recognition and Affiliation of State, Central and International Boards. We organize ADMISSION DRIVES, FUND RAISING DRIVES, IMAGE BUILDING Programs, QUALITY IMPROVEMENT Projects and ensure IMPROVED PARENT SATISFACTION INDEX, improvement in standards of Education and FINANCIAL VIABILITY of a School. We have Trained over 40,000 Teachers across India and over 3500 Heads/Principals of Schools in India & Abroad. We have also conducted Quality & Academic Audit of Dozens of Schools. We are Providing an IITian Faculty of Professional Educators for helping Schools to give their Students the cutting edge in Board and other Competitive Examinations. If you have a QUESTION on any issue related to Schooling, Education, Training, Academic-Quality and Safety Audit or if you need a QUOTE for any Service you want IECS to render; please feel free to ASK. A Request Form is Provided for the purpose under Contact us.